I had a couple of hours to spare last night, and while playing around with some of my pedals I came to a scary realization; I own six different variants on the Big Muff! There is definitely something magic about this circuit. All the variants I own (or have built) have something unique to them. I bought this pedal a while ago after hearing that Dan Auberach from the Black Keys is a fan (the Black Key’s are one of my favourite bands). It is a variant on the Green Russian Big Muff Circuit that uses LED’s as clippers (instead of 1N914 diodes) and germanium transistors in two of the amplification stages. The tone stack is also flexible as there is an extra mids control that lets you go from scooped to boosted mids. I really like this pedal as it has a ‘raw’ and open tone to it that is really good for single note riffing (ala Black Keys of coures!). Like most Russian Muff’s it is a lot less saturated than, say, a triangle variant Big Muff. I went on the Earthquaker Devices website one day on a whim and managed to snag a one-off pink variant that they were selling; bonus! 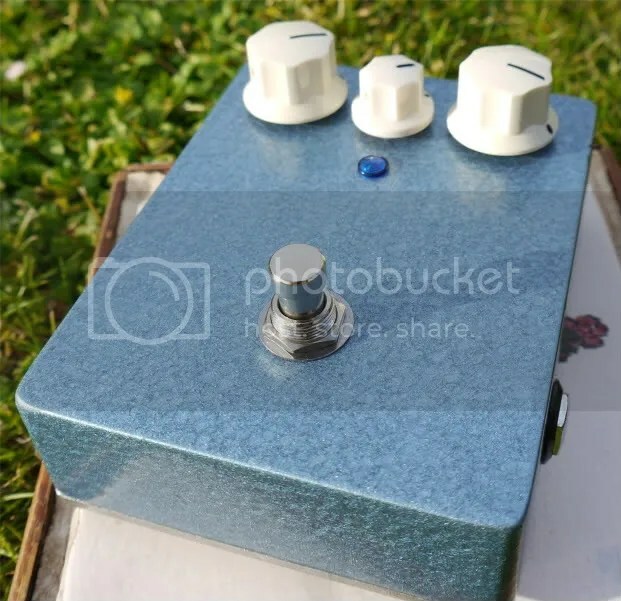 The BYOC (Build Your Own Clone) Large Beaver is one of the first BYOC pedal’s I built and it remains one of my favourites. This guy is a really nice sounding variant on the Triangle Big Muff circuit and has a lovely, smooth, tone.I called mine the Hair Biscuit. The gain and tone controls are also usefull at most settings which cannot be said for some Muff circuits.This guy also comes with a mids switch that allows you to go from traditional scooped, to beefy boosted, mids! For what it costs this pedal is a killer muff. If you don’t want to mess around sourcing your own parts and choosing/modding an existing circuit I think this is the way to go for high quality muffage on a budget (as long as you can use a soldering iron). For you guys like me in the UK you can buy BYOC kits at the excellent Vibe-o-Tronic here: http://www.vibe-o-tronic.co.uk/products.php?brand=1&type=1. I bought this guy a while ago and it is still stock; I have done no modifications to it. 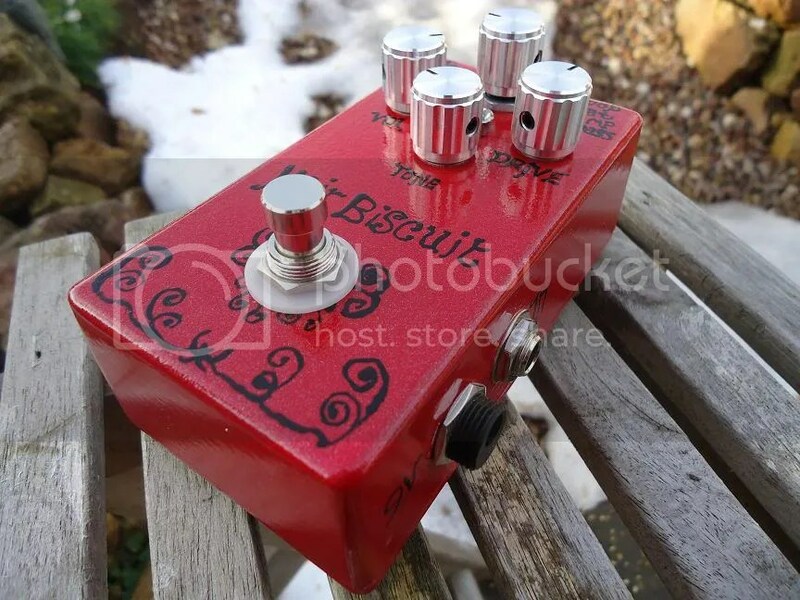 For what it costs it is a cool pedal, plus its housed in a 1590BB enclosure and is solidly built, which could not be said about some of EHX’s pedals that they used to build! The sound is ok but is a little bit too ‘trebly’ for my tastes; it does not have the warmth and ‘creaminess’ that some of my other muff’s have. It is a very high gain, saturated, pedal. For the money these things cost you can’t really go wrong; it just lacks that certain mojo! Straight off I should say that this is my favourite Big Muff that I own. 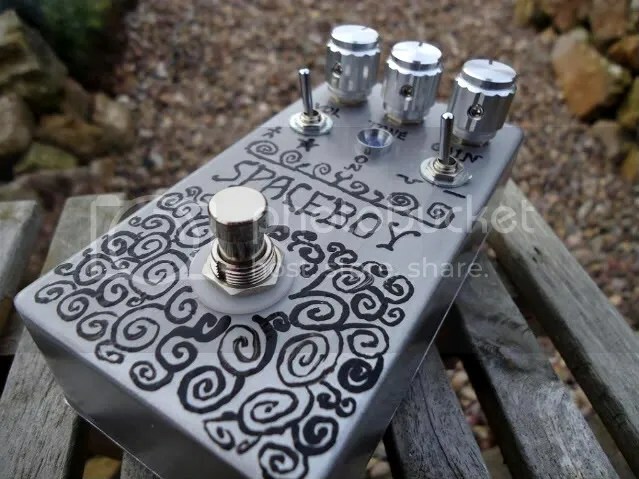 Skreddy is a very well regarded pedal builder who is kind of the ‘Master of Muff’s’ if you will! One of his most popular variants is the Mayo (no longer in production) which is based around a particular triangle era Big Muff that he noted all the component values down for and then cloned. Part of the Skreddy Mayo’s mojo is supposed to be in the transistors he used (2n5133’s) which are rare as hens teeth, and even rarer to get in the right hfe (gain) range. I built mine with BC549C’s and it sounds good to me! This thing absolutely ripps for smashing pumpkins Siamese Dream era tones. If I had to choose one of my Muff’s to take on a desert island this would be the one. The Civil War Big Muff is well regarded as a particularly tasty fuzz to use with a bass guitar. I like playing bass, and like playing it even more with fuzz, so built one up. This thing sound like the depths of Hades when you plug a bass into it and crank the tone CCW! I built mine including some old ‘mojo’ capacitors I had knocking around. Whether this improved it in any way I cannot say. The tone is quite similar to that of the EQD Hoof but is a tad bit smoother and not as ‘raw’, probably due to me using diodes as clippers and not LED’s like the Hoof. I would say its not as flexible as the BYOC or the Hoof as the bass on this thing can get a bit silly if you are not in the mood for a bit of doom riffage! On bass guitar this Muff wins hands down though. If a Big Muff variant was judged solely on having an even better name than the original then this would surely take 1st place! 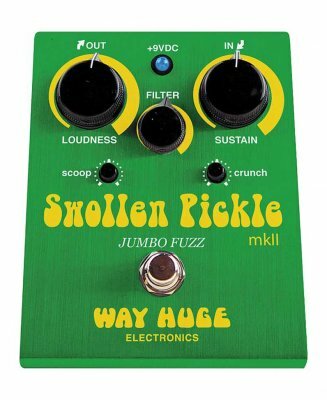 I bought a Way Huge reissue Swollen Pickle a while ago as I was kind of fascinated by the build of these pedals. The Way Huge line are built like tanks! The pedal has a lot of controls (there are two extra control hiding inside the pedal), perhaps too many to be honest, and for that reason it is a bit more fiddly to ‘dial in’ than my Mayo clone or BYOC Large Beaver. However, when you do dial this thing in you are greeted with a wall of fuzz; this thing really roars! It seems to alway lack the certain ‘mojo’ warmth that I get from my Mayo clone, BYOC and hoof for some reason. I am always amazed by the build quality of this pedal. For a mass manufactured pedal this thing is Triple-A-Top-Gun Engineered. The enclosure is some custom designed anodized aluminium job, the pedal uses relay switching and the whole thing is built on very high quality SMD PCB’s. Other big pedal manufacturers should take note!